Bring in the New Year with style with a New Year's Celebration Invitation from TicketPrinting.com! This invitation template features two champagne glasses with a festive blue background - perfect for parties around the clock! 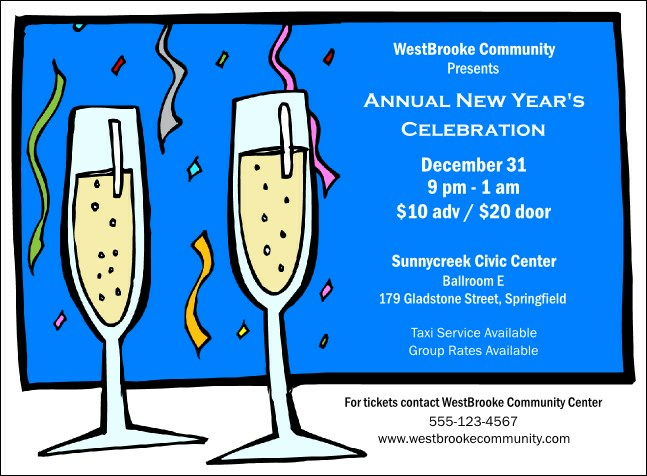 TicketPrinting.com has your New Year's needs covered with a full range of promotional materials. Let TicketPrinting.com take care of your promotional needs this holiday season!